WE ARE: The Academy of Spinal Cord Injury Professionals (ASCIP) is an interdisciplinary organization dedicated to advancing the care of people with spinal cord injury/disorder (SCI/D). WHO WILL BE THERE: The ASCIP educational conference and expo is a vital resource for Psychologists, Social Workers, Counselors, Behavioral Health Providers, Physicians, Spinal Cord Injury Nurses, and Occupational/Physical/Speech Therapists with the focus on spinal cord injury and disorder. 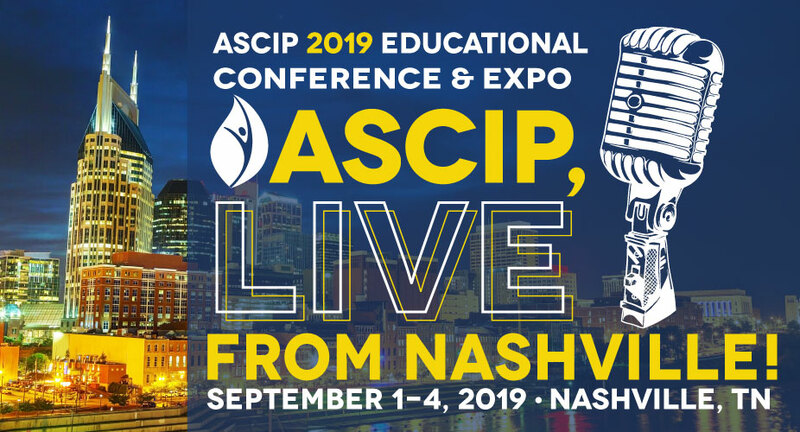 Professionals attend the ASCIP conference for premium and diverse education, unmatched collaboration, and exposure to the most innovative products and solutions on the market that enrich the continuum of care for individuals with spinal cord injury/disorder. WHY: The 2019 Educational Conference will focus on cutting edge and innovative strategies to promote and achieve successful outcomes following SCI/D. It is essential for the professionals working in SCI/D to stay current with recent advances and technology, and this conference will provide a venue to promote optimal quality of life as it relates to SCI/D medicine and rehabilitation. TARGET AUDIENCE: ASCIP conference attendees include healthcare professionals representing a variety of specialties involved in the management of spinal cord injury/disorder (SCI/D). Approximately 700 professionals attended the 2018 Educational Conference & Expo. Pre-conferences are held on Sunday, September 1, 2019. The full conference is held Monday, September 2 - Wednesday, September 4, 2019. Space is assigned on a first paid basis. All payments must be submitted by June 21, 2019. All registrations received after June 21, 2019 will require payment in full at time of registration. Any cancellations must be received in writing (email acceptable) and are subject to cancellation fees. Cancellation notices received on or before June 21, 2019 will result in a forfeiture of 25% of total fees. Cancellations received after June 21, 2019 will result in a forfeiture of 100% of fees. Credit card fees are non-refundable.